*Disclaimer - Thank you to Evenflo for providing me with the products in this post. All opinions are 100% my own. Are you looking for an amazing travel system for your new baby? It's hard to find the best carseat and stroller sometimes when you're pregnant and want the "perfect" match to what you need! Well, look no further because Evenflo has met the requirements that you will love to have with your new little one coming. The name of this travel system is the Pilot Travel System! They have 4 options for colors that you can choose from when purchasing. I received the Casual Grey color for my friend who is due in June. 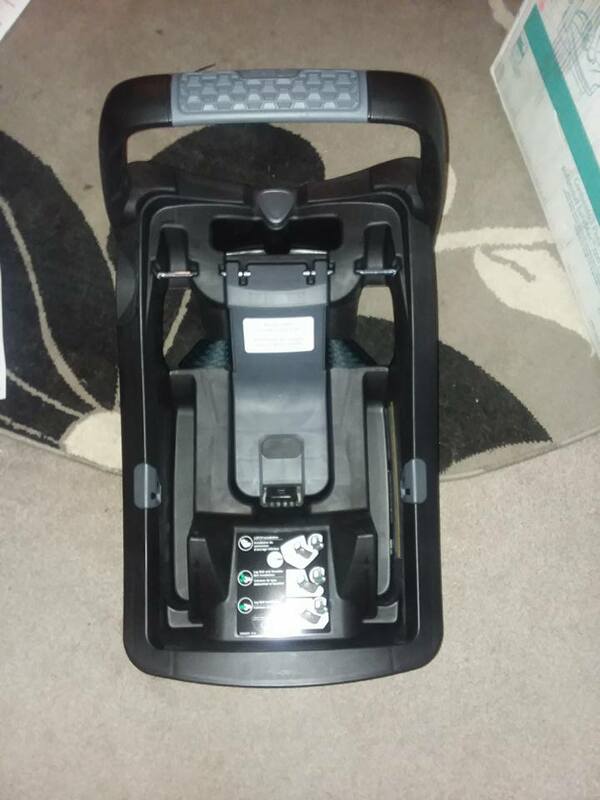 The base of the carseat that you leave in your vehicle is below. The SafeZone base has an anti-rebound bar which limits the amount of rebound movement after impact in case of a car accident. 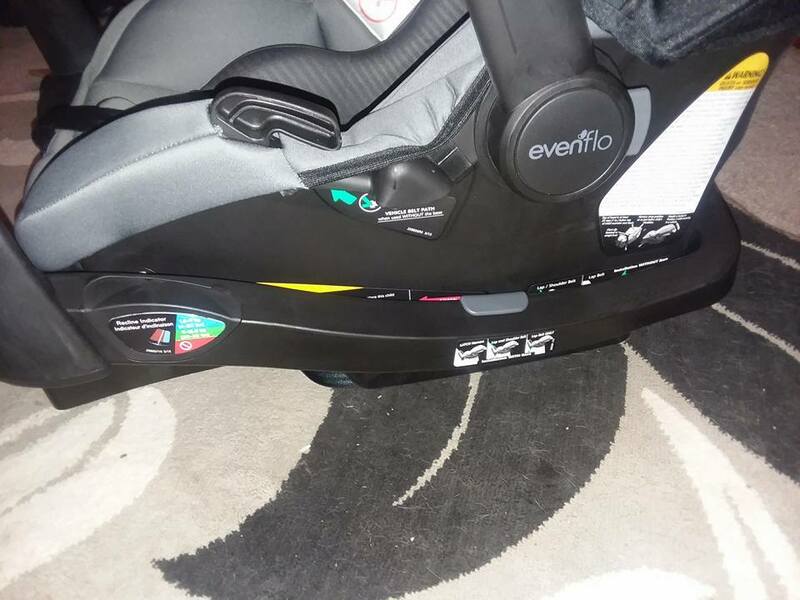 A good friend of mine is expecting a baby girl in June and I wanted to help her with the bigger items that she will need, so I partnered with Evenflo to get this absolutely amazing travel system that meets all the needs for your little one. It comes with a base for your car too. 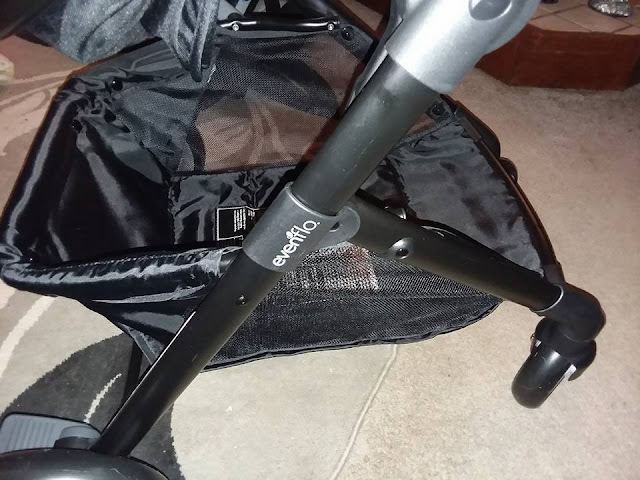 Our daughter is 11 months old, so she helped to try out the stroller and the carseat (I adjusted straps to what she'd use if she used an infant seat) portion of this travel system and she fit fine in it. 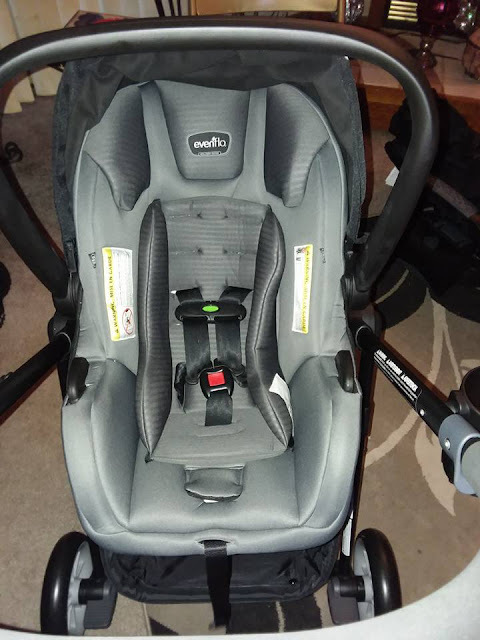 The seat itself is very soft to the touch and will be the perfect addition for your little one coming home from the hospital. 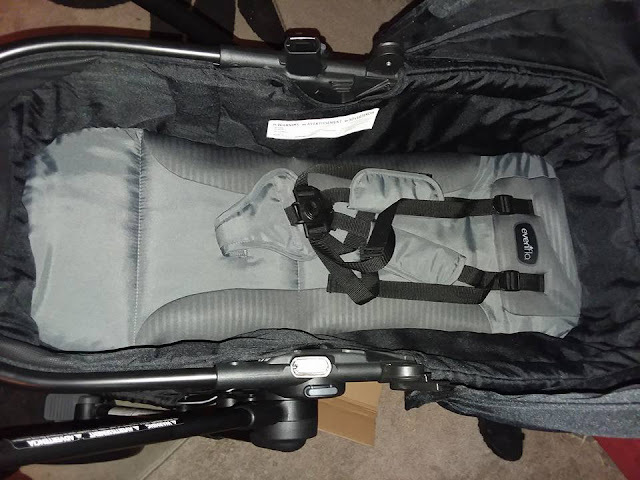 The rear facing for this carseat is good from 4 - 35 lbs, and height is good from 17 - 32 inches. 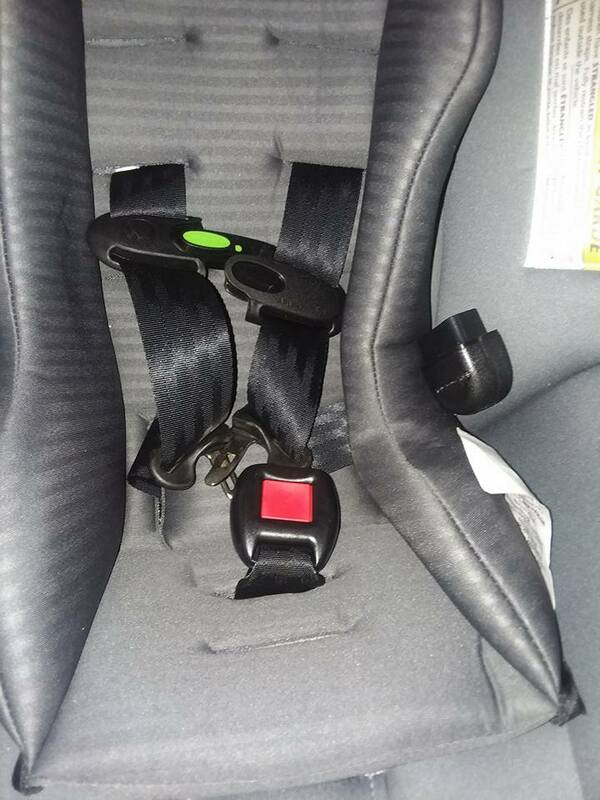 Of course as baby grows, you just move the straps up and tighten the straps for using. Our 11 month old daughter who tried it out is 20 lbs and about 29 1/2 inches. I have to tell you all about the stroller, this one is awesome compared to a lot I have seen come with a travel system before. 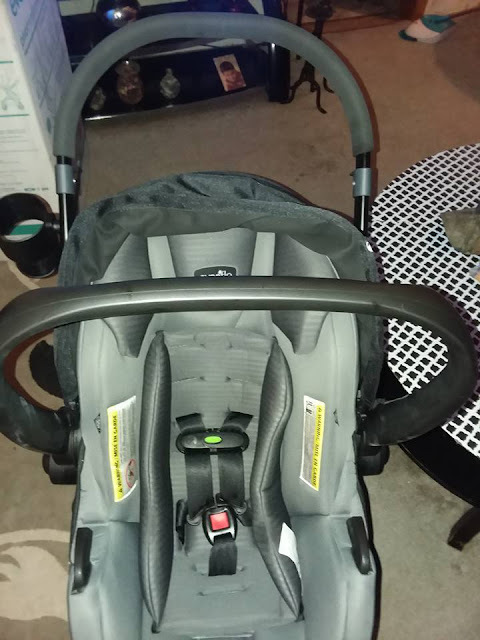 It will allow your little one to lay down flat from a young age, you can use it with your carseat clicked in place whether you want baby to face away from you or towards you, and it's good for seating a toddler as well. 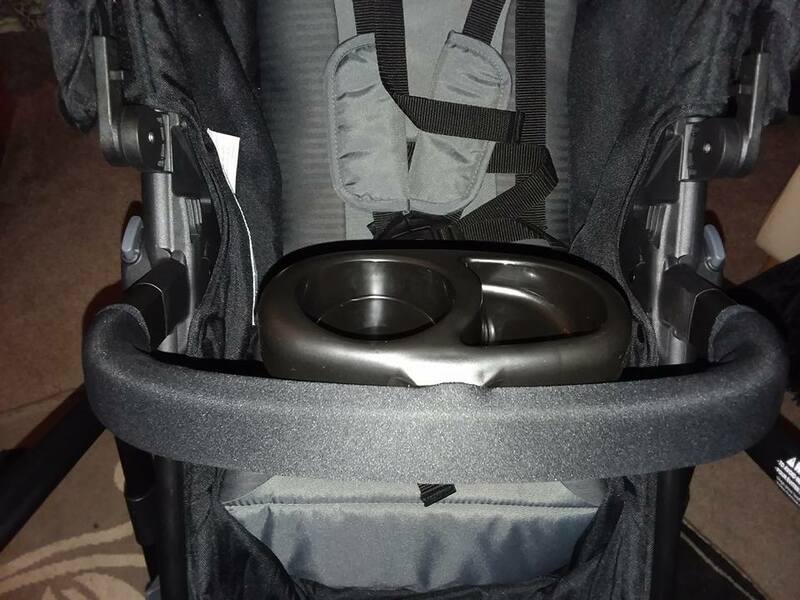 It has a removable child tray which is great for when you'd like to walk and your child have a snack or cup with them. The stroller allows your child to ride in it between 4 - 50 lbs, which is great for babies all the way up until the child is a toddler later on. It has a 3 panel canopy which provides a full coverage canopy. It has an extra large storage with both front and back access for convenience, which every parent will love. 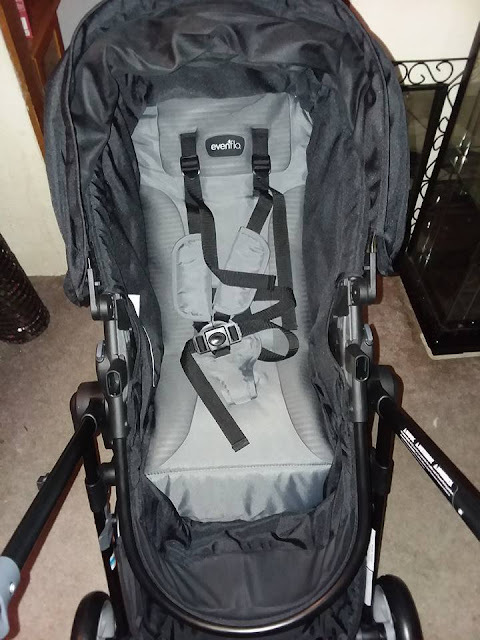 As your child grows in size, you will be able to use this stroller in toddler mode which is what my 2 1/2 year old would be using if we had this one for ourselves. He did however sit in it for this positioning while testing out the stroller, and we walked around for a little bit! It's easy to push, and also easy to close to store away when not in use too. I just LOVE how convenient this one is for everyone involved. 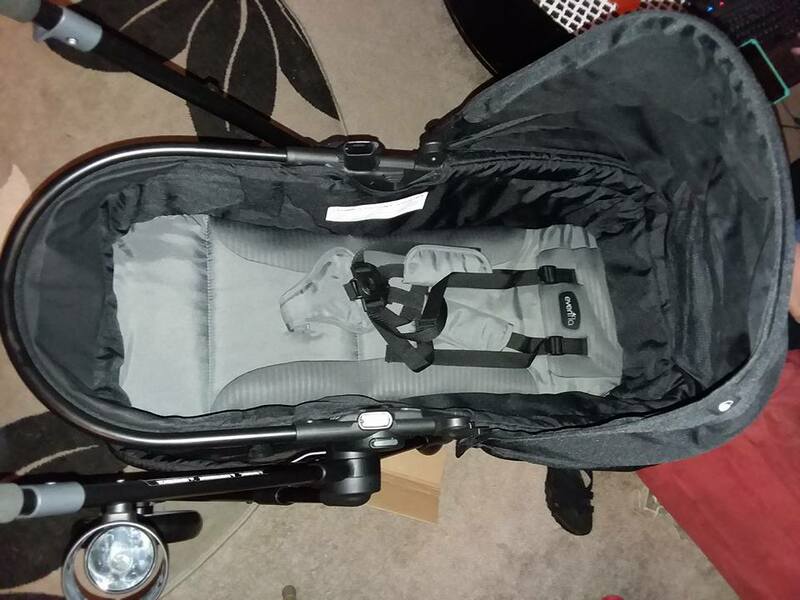 You're able to use the stroller facing you or facing baby away from you as well. It makes for a nice walking time with baby. You'll definitely be heading for walks in style when you buy the Pivot Travel System. Wow seems like a great travel system. I wish we would have looked at it when picking one out! This looks really convenient and I wish they had them when I was carting my littles around town. Perhaps someday as a grandmother in the future, I will check them out as a great gift! I am so glad the days of the stroller and car seat are over for me. When I was having children the car seat and strollers were never this nice and were much more cumbersome. This looked pretty comfortable for babies. I have one but a different one. We had one of these and they are the absolute best stroller. They make travel with a baby so much easier. I loved my travel system so much when my youngest was little. It's very convenient and makes travel a snap!